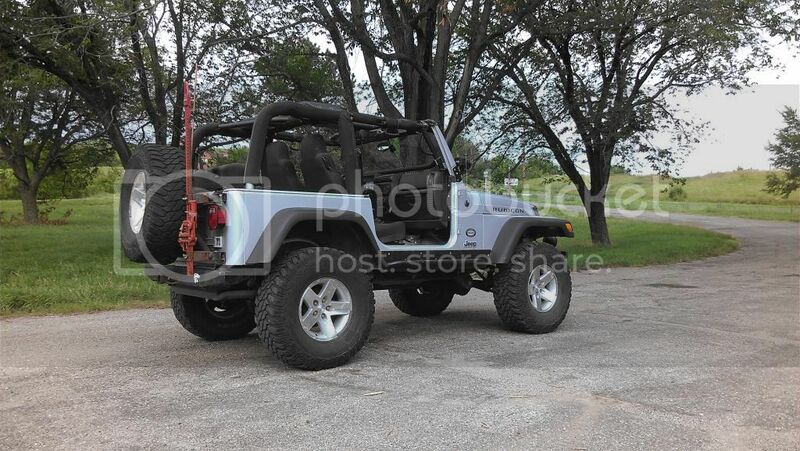 I bought this Jeep in December of 2003 at a salvage auction. Had 12K miles on it and still had the new car smell. It also had 2 rods through the oil pan and 4 rods with beautiful arcs in them. Rebuilt the 4.0 (should have stroked it) and the rest is history. It was claimed to have had 'flood damage'....my guess is the new rubi owner couldn't bear the thought that he ruined his $35,000 toy It now has 122K miles on the chassis. 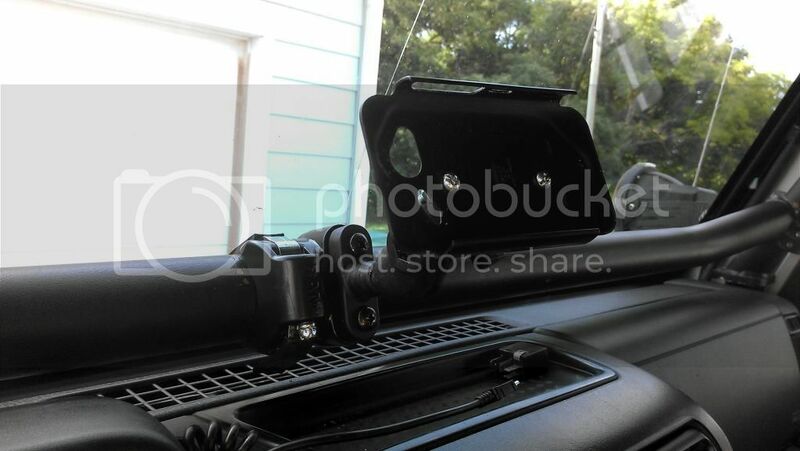 - Relocated Auxiliary HID to windshield brackets, switched via an XJ factory fog light switch. The wiring and relay for the HIDS are hidden behind the cowl. I'll take that as a compliment. Thanks! The build has been fun so far and I can't wait to make it better! It was a whole hearted compliment I really like how stockish looking your Rubie is as well even though I love all my armor, it's still really cool to see a Jeep as built as yours that looks like it could have just come off the car lot. Thanks man! You hit the nail on the head. When I started building this rig I wanted to retain a 'factory' appearance, primarily because so few Jeeps are built that way. Don't get me wrong, I love Jeeps that are built to the extreme and show it (like yours). I have been assembling parts for the last several months in preparation for a week long run out in CO this summer. 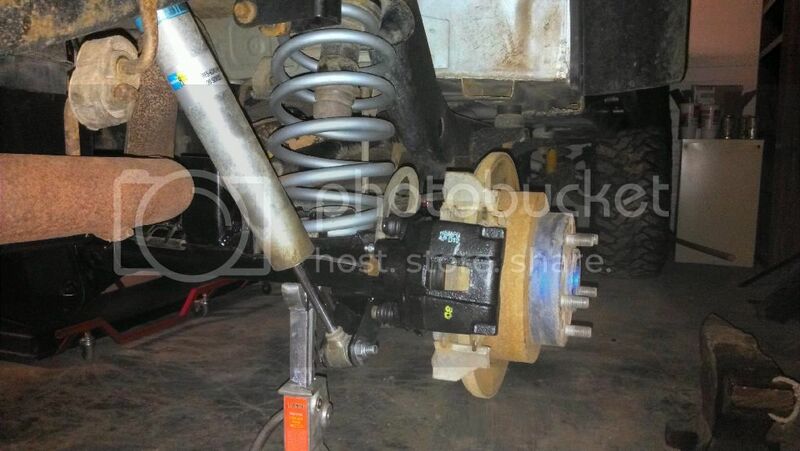 This year we are running trails that require a solid vehicle with outstanding brakes to make it to the end. No more narrow flat trails. Now its narrow, steep and rocky trails along a cliff edge I also plan on driving the 16 hours to the trails rather than trailering. If any of you AR members happen to be in the Almont/Aspen/Crested Butte/Leadville area of CO the first week of August, let me know. After 2-3 years of "nothing exciting" happening to my Rubi, I decided to start giving it some love while the Comanche is at the body shop. It came apart slowly, yet easily, even pressing out the ball joints. Installing the new ball joints was uneventful just a slow and tedious job. I clean the axle tubes out and push on the seals. I notice one of the zerks look cracked and sure enough it was. 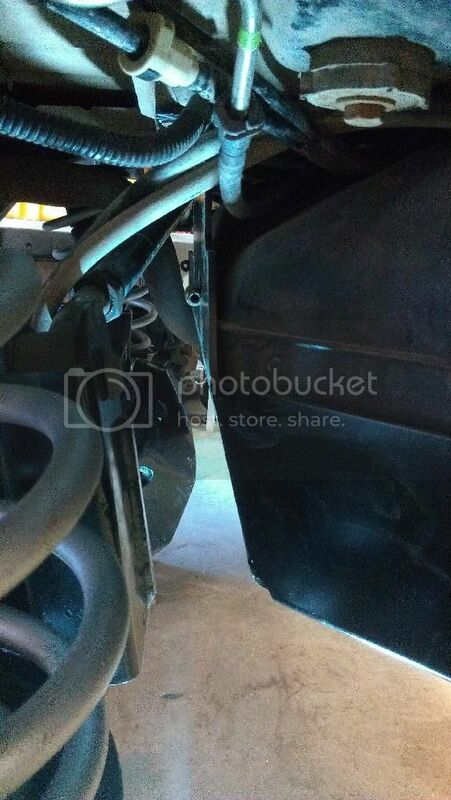 Luckily the axle going into the MJ has the same seals so I stole a good zerk and installed it. While I was dealing with Zerks I figure I should install them in the new ball joints. Straight forward and simple, right? 1, 2,3 go in... The the passenger side lower, #4, decides to play hard ball...and SNAP. The head of the zerk breaks off leaving the threads in the joint. 6 hours later the threads come out. It looks like the wrong zerk was sent with that ball joint and was too long allowing it to bottom out. Tired of looking at the pasenger side I decide to start on the driver side brakes. Knuckle goes on, shaft goes in, unit bearing is ground down, rotor/caliper bracket/ caliper goes on, then I go to attach the brake line. 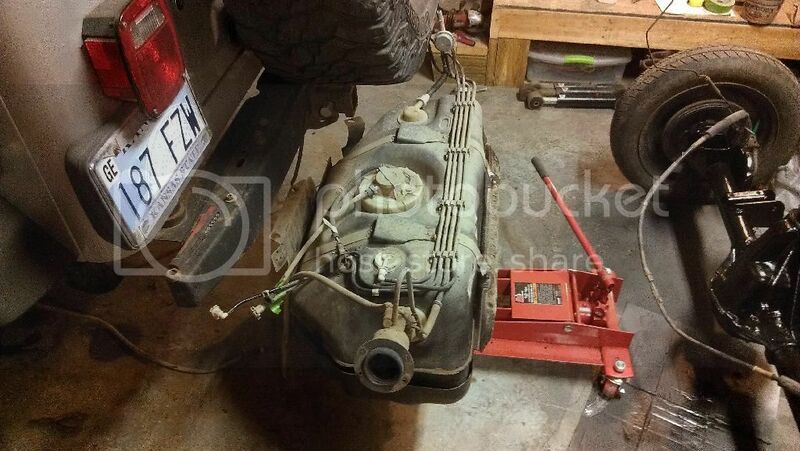 Won't fit, the end of the Jeep line is a bit different than the Ford caliper. Massage the end and get it to fit. Torque the U-turn driver side bracket and attach the rod end at the Pitman arm. By this time the weekend was over and had to leave my rig on jackstands. Looks like I am in for another hot weekend of wrenching. Have to get the front end done before I drive it out to Colorado! - Break in the brakes! 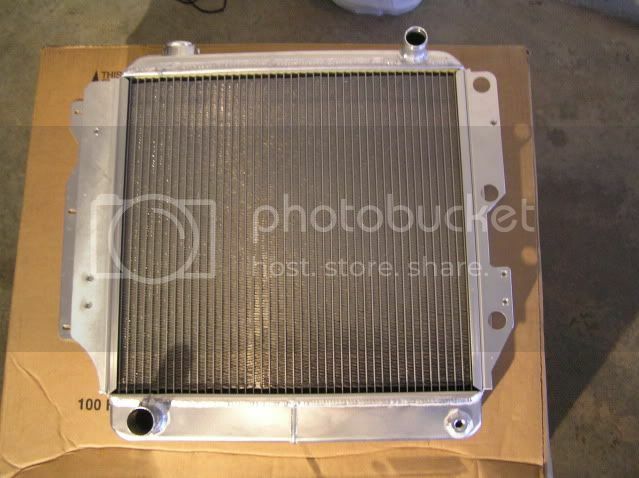 Then I installed the 2 row Griffin Radiator. This was surprisingly easy. The fan shroud required a hole to be drilled on the top driver side, about 1" up. Luckily, I already had this hole drilled. I got the Jeep back from a week long Jeepin' trip in Colorado. It drove 12 hours, ran 600 miles of trails, then drove 12 more hours back home! The Vanco brakes worked great, the U-Turn performs much better than the stock inverted y steering, the Currie front track bar was quiet, the Griffin radiator kept it at 210 all day and the Moog Ball joints kept it going straight. I did manage to sheer off the rear UCA/Trackbar bracket on Tincup Pass. Limped it down the mountain and hauled into Gunnison for a local welder to repair. Now I am seriously considering a 4 link long arm upgrade. The research begins! Awesome TJ, man. Every time I see yours I feel compelled to go out buy one... Someday. Someday soon maybe. Thanks I still love driving it as much as I did when I picked it up. 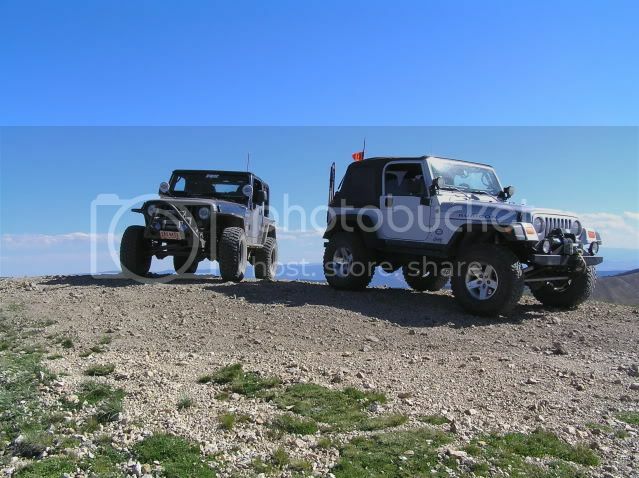 That pic was taken on American Flag Mountain near Taylor Park, CO. You should look at taking your rig to the San Juans out around Ouray, Silverton and Telluride, CO. By far the most spectacular views you can reach via 4wd. Plus the trails are far from tough, unless you have a fear of heights. 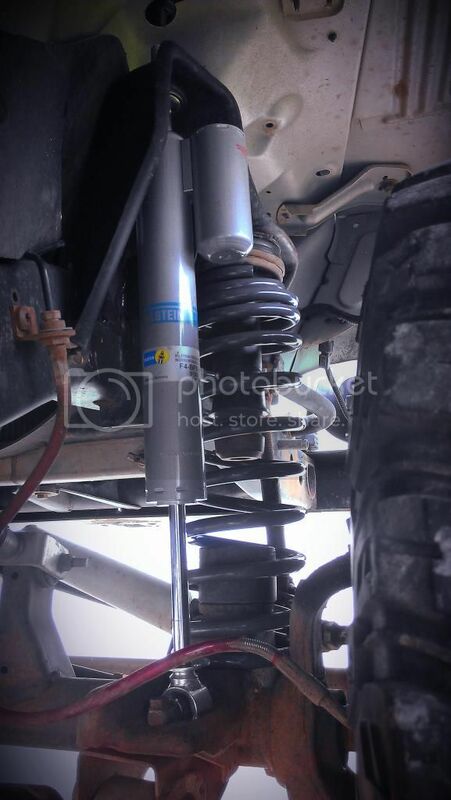 Installed my Superior Axle rear axle shafts last weekend. The install was almost too easy! 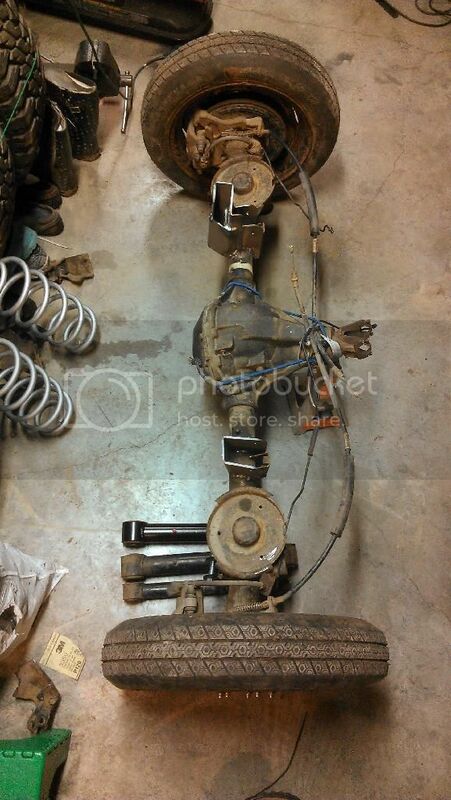 Remove wheel, brakes and retaining plate bolts, install new shaft and reassemble. 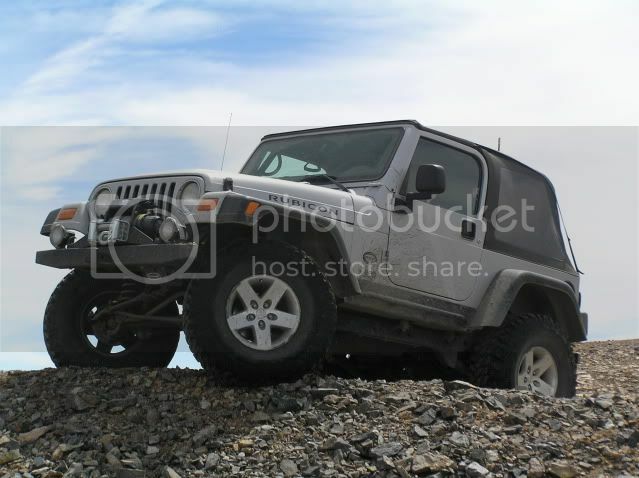 While out wheeling in CO back in August, I managed to bust one of the clips on my Viking top rear strap. A zip-tie had been holding it together until today. I built a simple strap buckle. 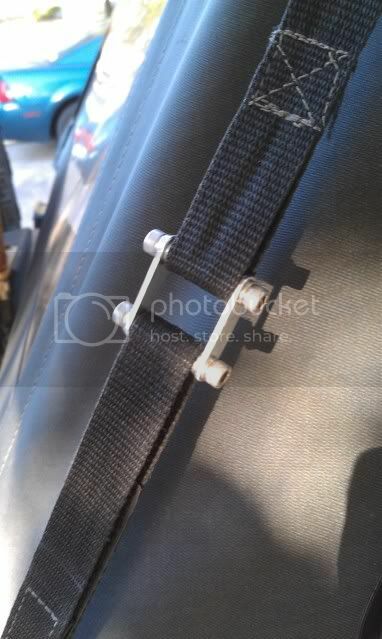 Sure it doesn't have a clip, but the velcro holds it all together just fine. Last night my on-board-air air pressure switch started leaking air out of the electrical terminals. Ordered a Viair water resistant switch from Home Depot. 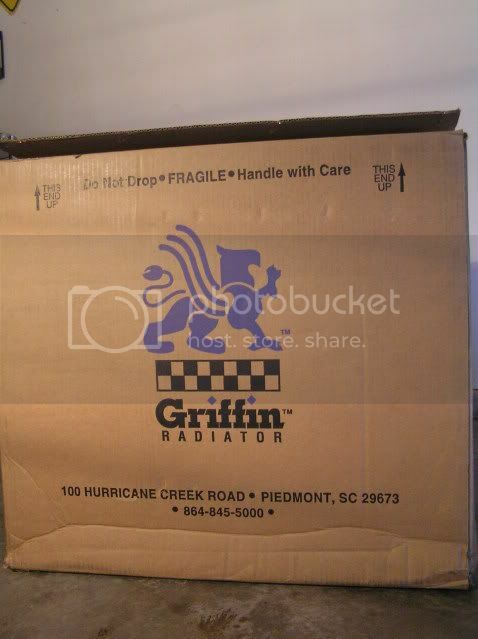 They were a little higher priced than other places, but shipping was the cheapest I could find. Well it is the last day of January and I am driving around with the windows out! Finally got the front end tightened up with new control arm bushings which cured my death wobble. 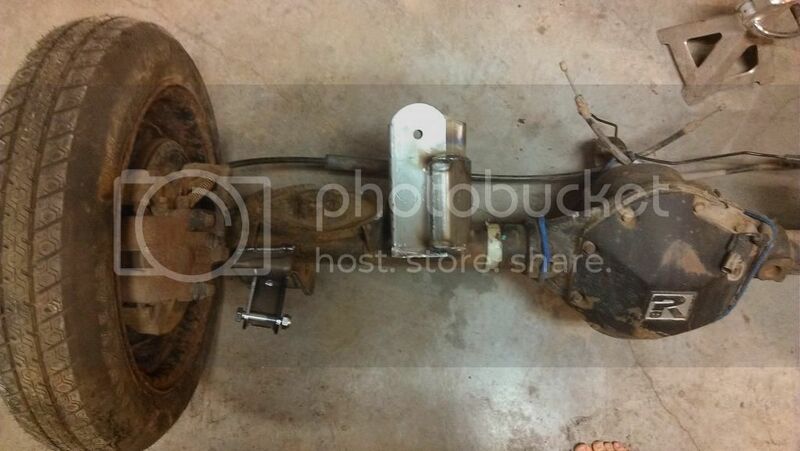 I still need to replace the bushings on the axle housing. It has been awhile since my last update. 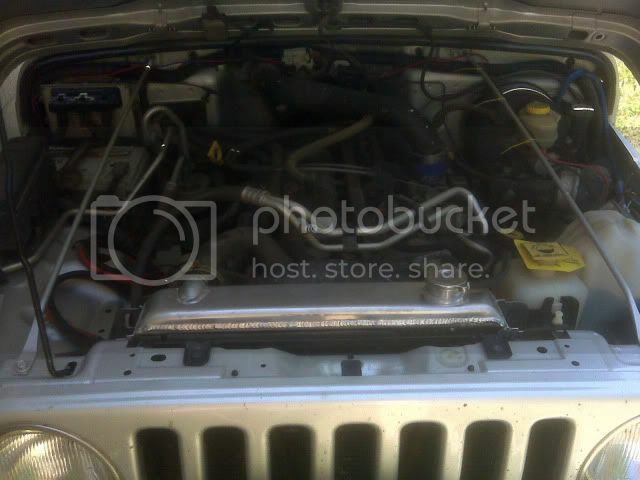 I haven't had to do much to the ol' Jeep since it has been running fine and nothing has broke. Sometime last summer my lockers decided they didn't always want to work. I could usually get them to lock the first time I tried while wheeling, but after that pressing the axle lock button did nothing. After probing the entire locker system with a multimeter I could not locate the problem. I suspect it may be related to a cluster bus code that has been pending for over a year now that I have not been able to isolate either. 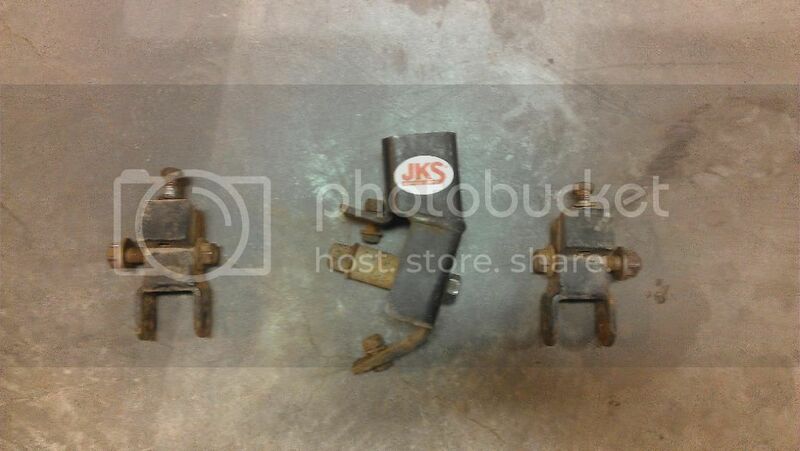 I located a junk piece of XJ wiring harness that had a matching set of plugs. 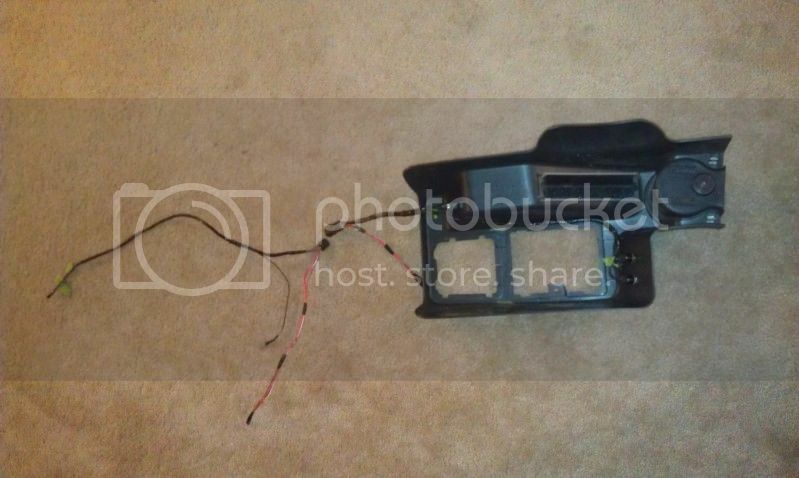 Ran the wires through the dash leaving a plug terminal near the airbag module. I then wired switches in the console to operate the lockers. I have front and rear locker switches behind the shifter and a system interrupt in front of the t-case lever which is a pull-on switch. Since nobody wants to accidentally lock an axle at 70 mph I wanted the option to 'turn off' the bypass. The piece of harness I used had more wires in it than I needed. I left pigtails for possible future needs in the console. To splice into the locker harness plug, I simply un-clipped the plug wire retainer from the back of the plug, inserted the proper wire for each locker and re-clipped the retainer. I did not ground the bypass back to the plug, but I did a chassis ground near the shifter. Two of the last three trips I took to Colorado in this rig resulted in the rear trackbar/control arm bracket becoming separated from the axle. This isn't a lot of fun when camping on vacation. I have had a guy in Gunnison weld it, then a fellow in South Fork. 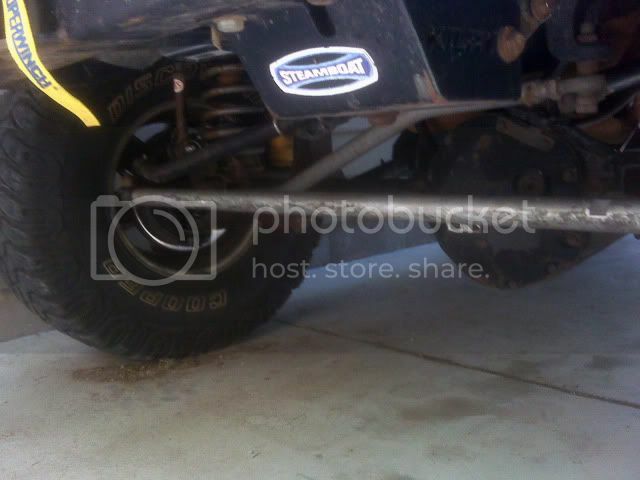 I decided enough was enough and backed the Rubicon in the garage to pull the rear axle to weld on some real brackets. I picked up the Mad4x4 TJ bracket kit several years ago to do this repair, but never got around to it. I also bought the Clayton shock relocation brackets. Since the Mad4x4 brackets were designed for an 8.8 swap, the radii were too large to fit snugly around the D44 tubes. I had to cut a smaller radius into the brackets. Even after cutting the smaller radius into the UCA brackets, I was still able to achieve almost 8" of vertical separate between the UCA and LCA mounts. I also hacked up the trackbar mount so it would fit over the control arm mount so it would have no interference with the gas tank skid with the pinion angled up. I also media blasted and painted my old RE springs since rust had taken over. While I had lots of room under the rear end, I FINALLY did the Rokmen fuel tank skid install. I have had this sitting on the shelf for 4+ years!!!!!! The rear cross member was all bent up so it had to be straightened. A transmission jack made the skid install a breeze even with 2/3 tank of gas....after I figured out how to disconnect the fuel line fittings. My old JKS rear trackbar decided it was done being 'adjustable' as it was rusted together. After trying to break it free, I ended up bending the bar. 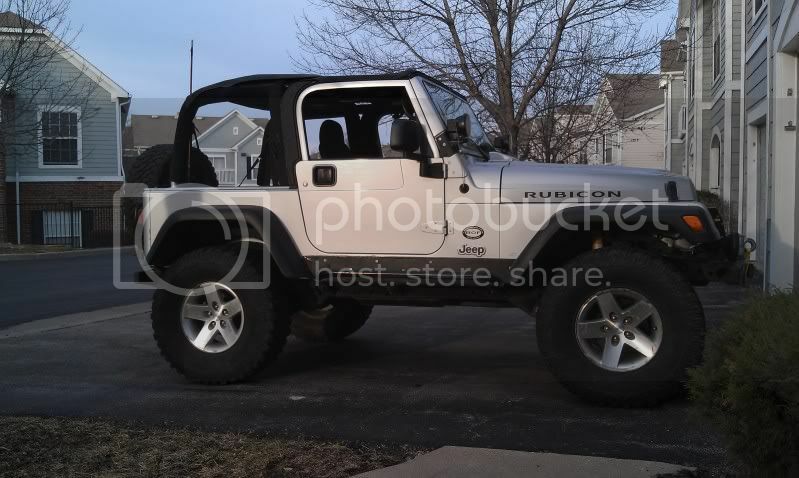 Now I am waiting for a Currie trackbar CE-9120RS to arrive so I can get the Rubi back on the ground! Do you mind if this makes it on to the FB page? Post any particular pics or info, that isn't already there, that you want me to tease them with if you are ok with it. 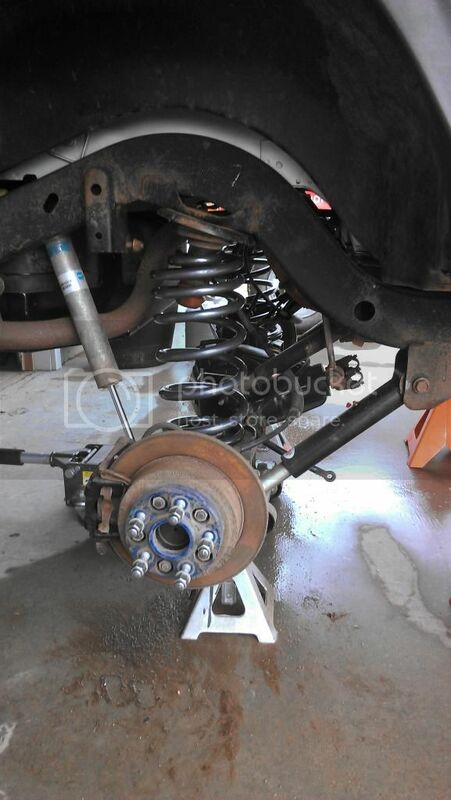 I replaced the RE 3.5" rear coil springs with Nth LJ 3" coils. Getting it all put back together. 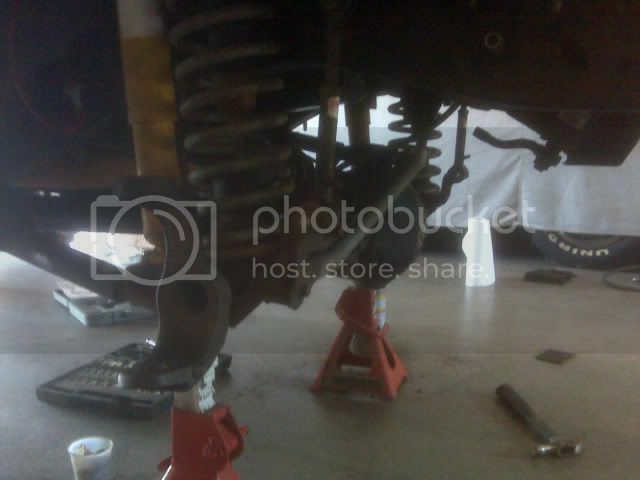 Someday I would like to re-position the upper coil spring mount so the coils sit plumb. I couldn't leave well enough alone. I had to replace the front RE springs and OME shocks. It's a good deal I did, one OME shock had lost its fluid and did nothing. I find this picture interesting. 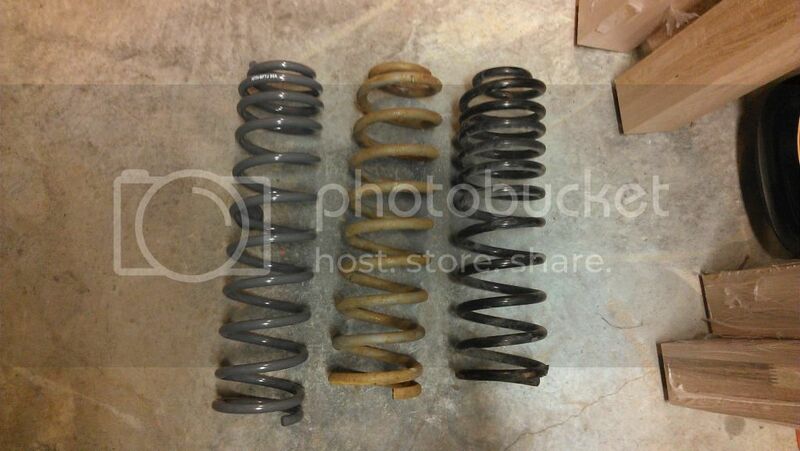 On the left we have the new 3" Nth spring followed by my old 100k mile RE 3.5" spring. 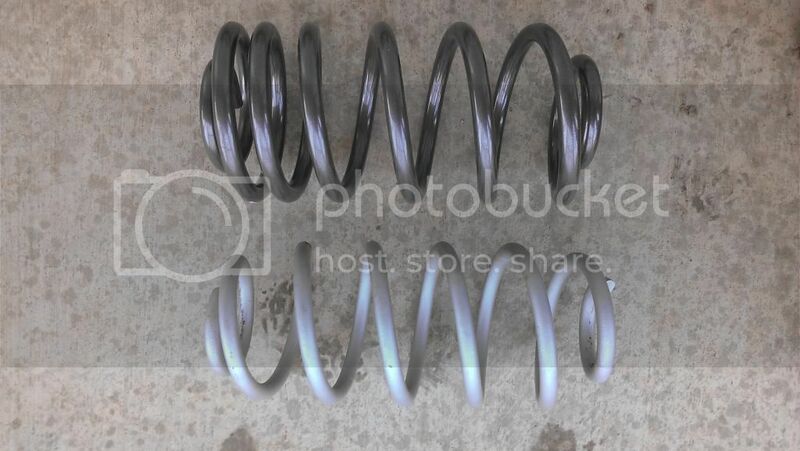 The spring on the end is a Moog V8 ZJ spring. The new coils only lifted the front 1/4". 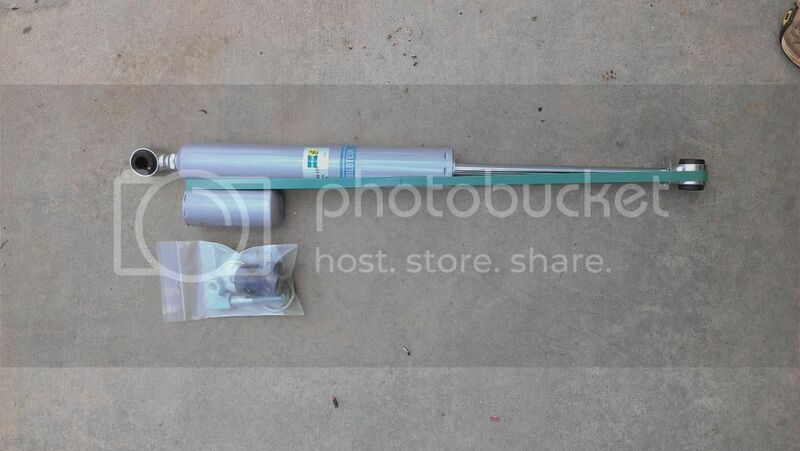 The new front shocks are Bilstein 5150 with 10" of travel with the Bilstein stem conversion. Everything back under the Jeep. Looks like it is about time for replacement brake lines. And the obligatory glam shot during the test drive. All I can say at this point is, 'WOW'. It drives like a completely different rig. I guess good shocks and springs DO make a big difference in ride quality. Short of an oil change, a little grease and double checking the suspension fasteners, it is ready for another 16 hour drive to Silverton, CO the first of August. 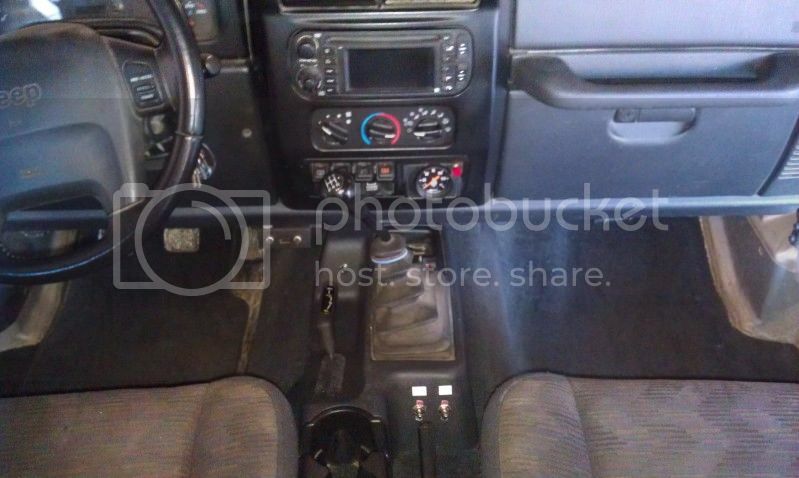 If I'm not mistaken, the guy who runs Nth Degree is (or was) a full time Jeep engineer. Four Wheeler did a full feature on his personal rig a few years back and it was a remarkable build. Yup. 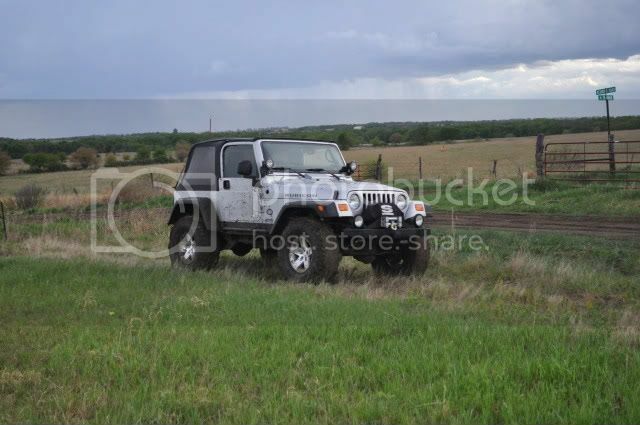 The original owner of Nth Degree, Jim Frens, was a Jeep chassis engineer. I believe he is now part of the AEV/Nth crew. I did order and install a new Tom Woods shaft up front. The slip joint in my 125K mile stocker was just too loose for my liking. This also cured a 60-70mph vibration I had been having. 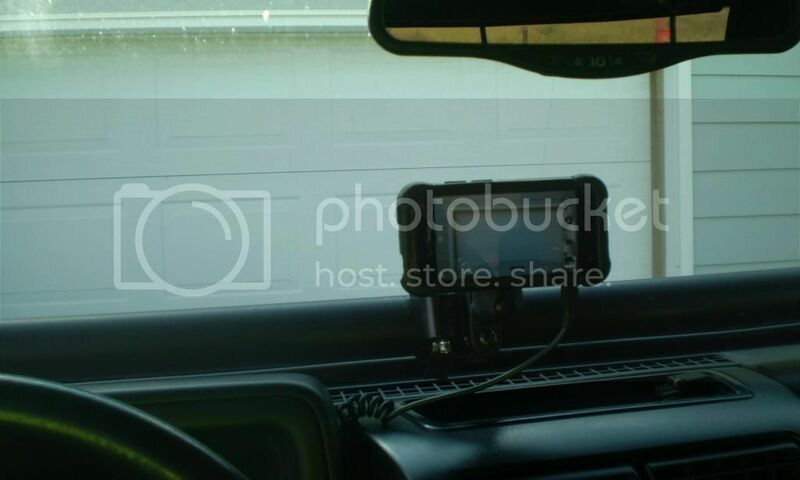 I also fabbed together a mount for my HTC smartphone. 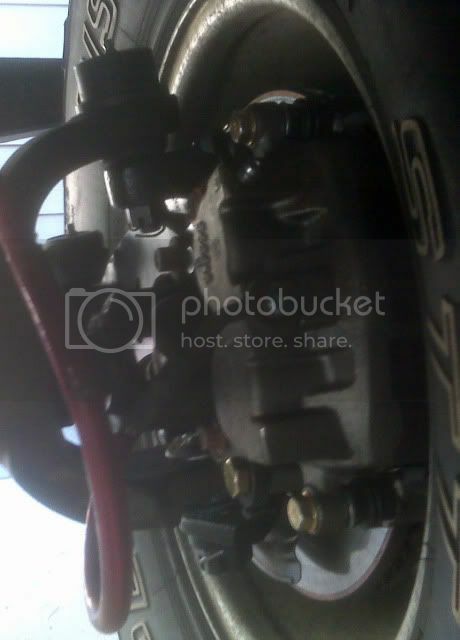 To be used as a GPS routing tool off road AND as a video recording device. While I know the San Juan trails better than the back of my hand, I am trying to prepare my self for a future overland trip. GPS routing is just one of those things I have never used. 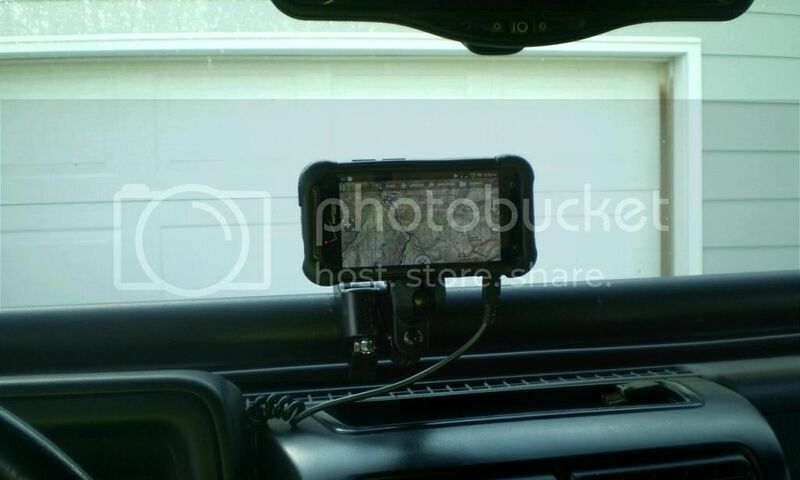 I used RAM mounts to build this since they appear to be the bees-knees in vehicle accessory mounts and an extra hard shell cover for my HTC phone. I mounted the diamond base to the backside of the hard case of the phone and checked to make sure it would still clip around the soft case on the phone. Then attached it to the arm and RAM rail mount. I was extremely disappointed with the rail mount. The mount simply uses a large hose clamp with rubber sheathing to hold unit to the rollbar. This didn't bother me but I did expect the hose clamp to be high quality. 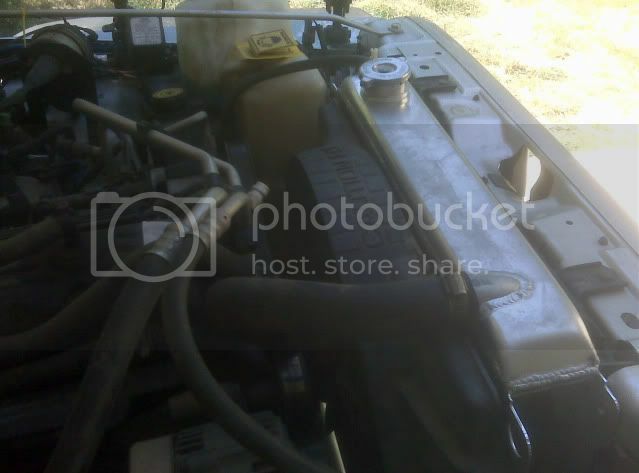 Nope this is the same cheap hose clamp you find at Autozone for less than a dollar, equipped with poorly engaging worm gear and the clamp fitting that bends once it start to get tight. I had to reshape clamp surface upwards to full engage the worm gear in order to put any torque on this. I hope it is tight enough for trail use.